If you sometimes wonder what your communications team actually does, apart from sharing corporate news, earnings announcements and dealing with the odd crisis you may want to think again. Often viewed as the dark horse of the business, internal communications, the wizards with words have the ability to transform your organisation and employee engagement for the better. It’s no surprise that today’s enterprises face increasing challenges, from brand reputation to employee retention, which can be exacerbated by a lack of synchronized communications or reliance on one tool to reach everyone. 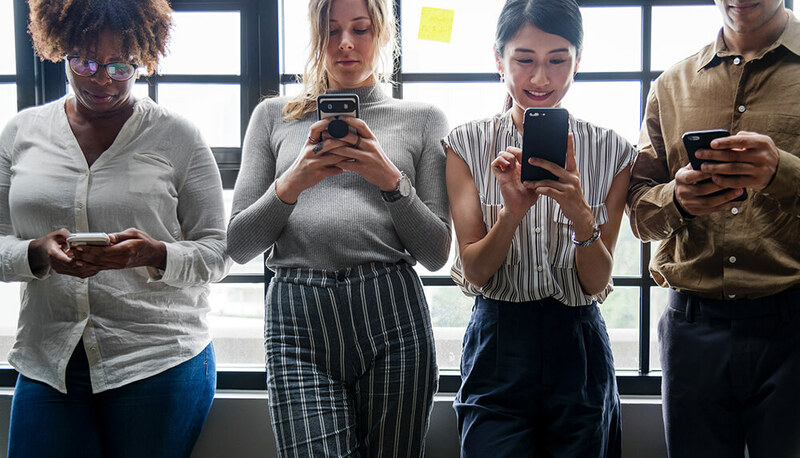 You may often wonder how you can better inform, support, and connect to all of your employees using modern communications strategies? However, thanks to software and the proliferation of handheld devices there has never been a better time to digitally transform your internal communications. At SocialChorus, we recently analysed data across our global programs, with information from more than 1.5 million employees in 20 industries, across 180 countries. We looked at the figures from hundreds of millions of user events, and millions of emails and push notifications sent and surveyed 840 end users. The findings from the SocialChorus 2018 Comms Effectiveness Survey made interesting reading and demonstrated how communications experts within your organisation can dramatically increase employee engagement and in turn, create better employee alignment to your company’s goals and vision. Most communicators publish content to multiple sources, including company intranets and newsletters, but employees are three times more likely to interact with mobile than web-based content. We identified and studied the most active, retained users, who came back to their company apps frequently over 90 days. The data found that personalisation and customisation drive retention and help form a “Power User.” A power user will create and personalise a profile (86%), read content from emails or push notifications (77%) and contribute content (25%). According to the survey, two-thirds of workers also found their company app easier and faster than other content sources, such as their intranet, email, and printed materials. In addition, mobile apps proved their worth when trying to reach a distributed workforce and deskless workers, such as retail and factory employees. We also found that video helps to keep 53% more employees as active users after their first 30 days using the company mobile app. Communicators and company leaders who use video to communicate with employees see three times higher click-through rates than any other type of content. The top-performing videos (measured by percentage of likes) were either less than 30 seconds in length or 60-90 seconds long. However, one area where companies are failing is in spamming their employees and assuming that one size fits all. This observation breaks down into a few key areas. Content should be bite-sized and varied. We found that employees use their company app for around two minutes at a time. That doesn’t necessarily mean the content should be shorter, but it does need to be broken up with headlines, photos, links and other content that is easy to scan or read on smaller screens. The way in which it is presented should all be mixed up. A variety of visuals ranging from photos to infographics will help employees to grasp your communications more easily. And most importantly, don’t make the content all about the CEO. Make them want to come back for more. We found that those who varied their messages from contests to personal and professional tips, employee recognition and awards as well as emergency alerts and short messages from the CEO had far more success in engaging their employees. The survey found nearly double the clickthrough rate with targeted channels when people felt more engaged with relevant content. As we know from our own consumer encounters there is nothing better than a personalised experience. We found that users who personalised their content feeds were four times more likely to still be using the app after 90 days. Two-thirds of users surveyed found news on their company app easier and fast than other content sources such as intranets and company newsletters. (77%), printed materials (87%) and enterprise social networks (81%). Embracing handheld devices also helped for delivering push notifications. The survey found that 66% of iOS users opted in to receive push notifications, which is significantly higher than the 40% industry average. Push notifications help to deliver important news to employees, and 77% of power users read content from a push notification. With all this talk of snackable content, delivery via different channels you could think that email no longer matters. But that’s not the case. What we found is that communicators who use the platform to publish once and distribute to other channels, like email, intranets, and social media, reach far more employees overall. The industry benchmark for email open rates within large enterprises is 23% but, in our survey, we found it to be 45%. There is no doubt that companies thrive and win when their workers feel informed, valued and engaged. The technology and the devices now exist to drive employee engagement and help both the business and people who are the driving force to flourish. Can you really afford to keep doing the same old newsletters and emails knowing that no-one is reading or interested? An engaged workforce is a loyal one. Cyrus Gilbert-Rolfe has been working on the adoption of emerging technology for decades now. 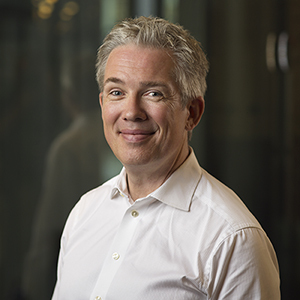 He spent the early nineties at investment bank Lehman Brothers in a succession of jobs leading to the rollout of what was credited in the Financial Times as the first intranet in the City of London. He moved into the tech arena with Internet pioneer Netscape, where he lead their commerce division across Europe. Since then he has worked in a series of early stage tech start-ups focused on eprocurement, XML, webservices, RFID, and mobile location analytics based in Boston, San Francisco, London and Portugal. He has also worked for some of the industry giants, including Microsoft and EMC. Today, Cyrus leads the international growth strategy for SocialChorus, based in the London HQ but responsible for all of the European, Middle Eastern, and African markets. Cyrus lives in Brixton with his wife Clemency, and is father to two grown up children. To explore more about better communication tech, why not Register Free here for UC EXPO 2019?